Plot: Han and Leia try to destroy the new death star while Luke confronts his father and tryes to find the good in him. Satisfying End To A Classic Trilogy Return Of The Jedi is a terrific way to end a trilogy that made history. This film gets a bad rap, mainly because of the Ewoks. But, who doesn't like the Ewoks? I think they're wonderful. This is the film where Luke finally gets his redemption. It also features the most underrated character in the Star Wars universe, Jabba the Hut. However, the digital restoration royally screwed the ending up by inserting Hayden Christensen. Han and Leia try to destroy the new death star while Luke confronts his father and tryes to find the good in him. This movie started great and ended great. The father and son thing worked brilliant and when you think about it is pretty sad at the end with the final father and son eye to eye. I consider this the weakest link of the original trilogy, but even the least of the three is still one of the best sci-fi films and a great way to wrap the series. I will say that Jedi starts off with the best opening: Jabba the Hutt, a whole slew of aliens, slave Leia,Luke vs. Rancor, Sarlacc, Boba Fett - it's one visual treat after another and it keeps things interesting. It dials down the action for a little while, getting into the meat of the story, but it picks up again. No posts have been made on this movie yet. 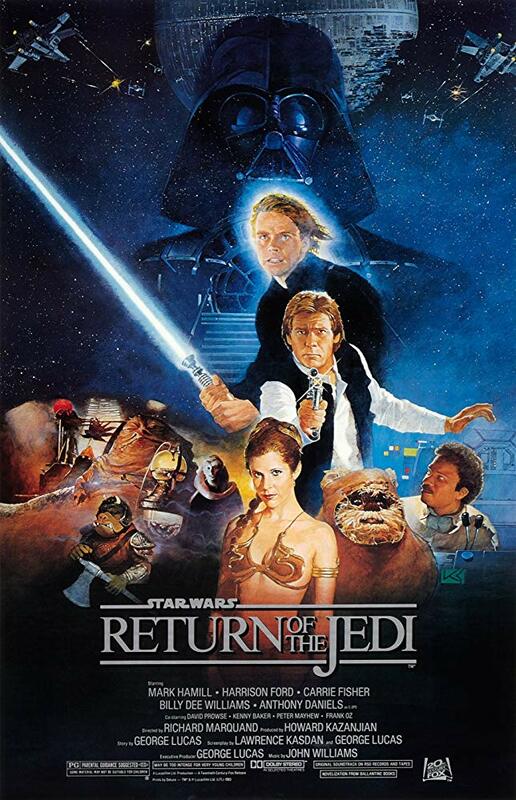 Be the first to start talking about Star Wars: Episode VI - Return of the Jedi!